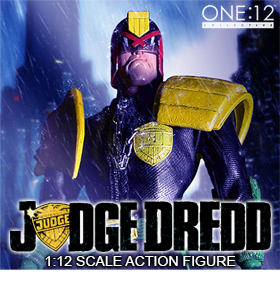 Toy Nippon: BBTS News: Transformers Masterpiece, Predator, Judge Dredd, Pacific Rim, Nendoroid Link, Star Wars & More! 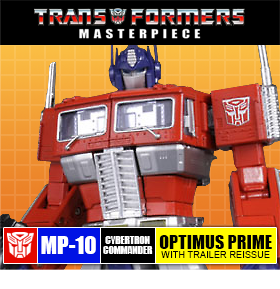 BBTS News: Transformers Masterpiece, Predator, Judge Dredd, Pacific Rim, Nendoroid Link, Star Wars & More! This package will include Bumblebee, who will transform into a licensed Volkswagen Beetle, and has swappable faceplates, battle mask and pistol. 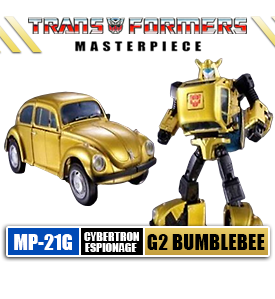 Bumblebee has a gold G2 paint job and also comes with a jetpack. Megatron changes from fierce warrior to silver tank in this figure. This trio includes a robot, a bird and a jaguar, each of whom can change into a tank and or weapons. Four more add-ons have been listed. 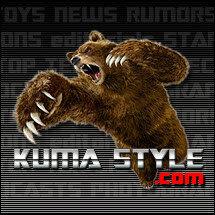 Dr. Wu has announced a new DW-M03 Sword in either silver or red, and they are listed at $14.99 each. We also have Perfect Combiner Upgrade kits in black or purple at $32.99 each; check out the pages for more information. Bandai has announced a few new Star Wars model kits, each of which is listed at $24.99. You can choose from the 1/48 scale AT-ST, the 1/72 scale TIE Fighter and the 1/12 scale R2-D2 & R5-D4 Set. Electro is in his original Marvel Universe costume for this new figure, which also comes with a power rod display base. This Evangelion unit is done in a white paintjob and has multiple arms. Department 56 has long been known for their winter displays, but now they have a new line based on the hit TV show. Offerings include the Crawley house, Downton Abbey, the Dower House, Lord Grantham's limousine and miniature figurines. 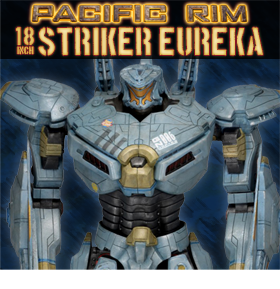 Gaya has announced a variety of statues, keychains, dog tags and more from some of the most popular licenses like Metal Gear Solid, Assassin's Creed, Mass Effect, Team Fortress and more -- go head and click the link, and then choose a product line to check out. The hit series Supernatural is the basis for this new iteration of the classic detective game. Play as Castiel, Sam, Dean or others as you try to figure out the details. Mattel's latest two-pack assortment includes three of Daniel Bryan & Triple H, two of Jimmy Uso and Jey Uso and one of Billy Gunn and Road Dogg. This black truck has red windows and transforms into a robot that comes with a gun, an axe and a chest ornament. This third party blade is chrome plated and measures 10" long. The notorious bounty hunter is dressed in a white version of his Mandalorian armor for this figure, which also includes weapons and his jetpack. This series' Set of three includes the '79 Alien, the Warrior (Blue) Alien and Sgt. Windrix and is priced at $53.99, $10 off the MSRP. We also have singles of the two Alien figures from this wave, and they are priced at $ 29.99 for the '79 version and $24.99 for the Warrior version. Marvel's runaway hit character Deadpool is back in stock. He comes with a display base and weapons.